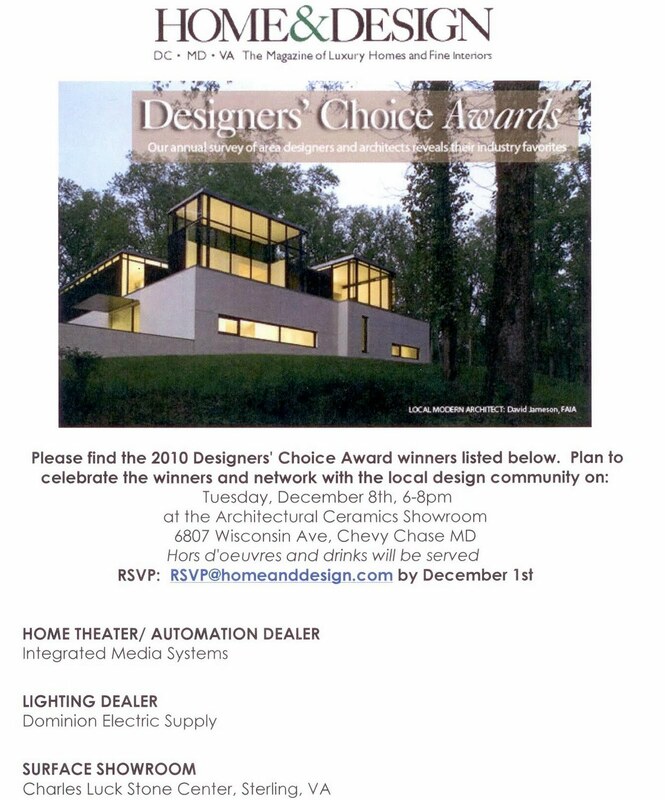 I am proud to announce that Dominion Electric Supply has been named as the "Designers' Choice" for Lighting Dealer by Home & Design magazine! They say this award is the result of voting by area designers and architects on their top picks for everything from kitchen cabinetry and counter tops to top design professionals and service providers. Dominion Electric Supply is the winner in the Lighting Dealer category. 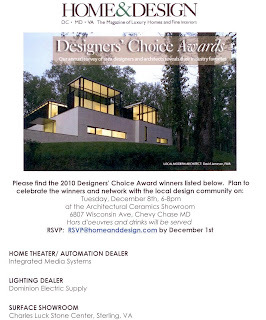 I found it especially interesting that 3 of the partners from my "Team Solutions" networking group were winners in their cagegories: Integrated Media Systems for Home Theater, Charles Luck for Surface Showroom, and us. It's an honor to be in such good company!